To families of individuals with Angelman Syndrome or any disorder, the beginning of the De Greef family’s journey will be a familiar one. A story of how they discovered the journey they are on today. Phoenix was born on June 11, 2010. He has an older brother Alex (18 years old) and sister Oceane (twelve years old). Many months after Phoenix was born, Phoenix’s parents, Mylene and Koen became concerned as Phoenix was not meeting his milestones. His pediatrician was always saying, “he is a bit delayed” and “he will soon progress.” When Phoenix turned 1 year old, he could not crawl on his knees, was not standing, nor sitting on his own. Due to the delays, he was referred to a pediatric neurologist, who also said, “he is a bit delayed” and “he will progress on his own.” After numerous discussions with doctors, an MRI was suggested; however, at that time, the family decided against it. After a year of physical therapy and occupational therapy, Phoenix did show some progress. While the therapies did make Phoenix stronger, he still could not walk and was very unbalanced. 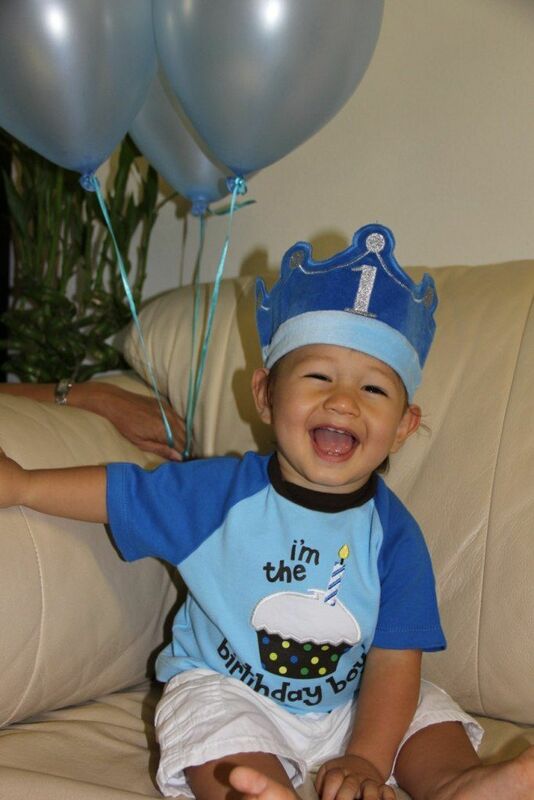 After Phoenix turned 2 years old, Mylene and Koen decided to allow Phoenix to get an MRI. The MRI did not provide any insight; however, Mylene and Koen also had genetic testing completed on Phoenix. In August of 2012 Mylene and Koen took the next step of their journey. They received the call from their neurologist, “Phoenix was positive for Angelman Syndrome.” As many parents, they were not familiar with Angelman Syndrome and looked to the neurologist for answers to their questions. “How can we treat this? What medicines do we give Phoenix to fix this?” The doctor explained that there were no medicines and it could not be treated. After asking more questions and educating themselves endlessly, their hearts were broken and tears fell in buckets. 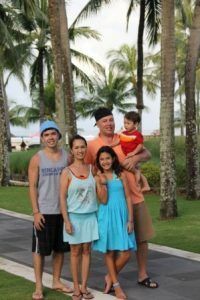 At the time, they were living in Singapore and as most families can relate, they were desperate to return to California and be with family to help them through the devastation of the diagnosis. With family and friends support, the De Greef family decided to be proactive and raise awareness and funding for research for Angelman Syndrome and so their journey continues. As Mylene and Koen had not heard of Angelman Syndrome, they were not surprised by the fact that none of their family nor friends had heard of Angelman Syndrome. Mylene and Koen realized that they needed to raise awareness, that they needed to join in this journey with so many other families. They hosted Angelman awareness parties, Mylene sold iPhone covers & rubber wristbands that read, “support Angelman Syndrome.” Mylene raised over $7000, of which she donated to FAST. It was not just Mylene and Koen that realized the importance of raising awareness and funds. After 5 weeks in the states, the family went back to Singapore. Phoenix’s older brother Alex and his high school club raised $500, all of which was donated to FAST. 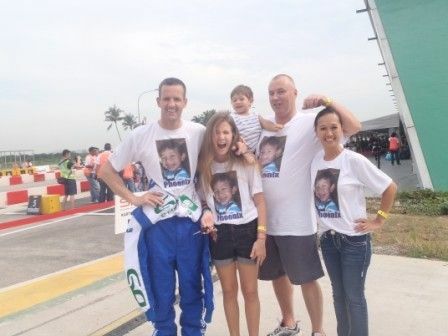 The De Greefs were joined in their journey by a very close family friend and colleague of Koen, professional Go-Kart racer, Sheridan Thomas. Sheridan made the decision to donate his winnings of a race to the cause. At the race, the Thomas and De Greef families wore, “Support Angelman Syndrome” t-shirts with Phoenix’s picture. The race officials also made an announcement on the loud speaker about Angelman Syndrome and the reason Sheridan was racing. It drew so much attention in the audience that people started donating. Due to mechanical problems, Sheridan did not place; however, to everyone’s surprise, the 7 drivers who did win, all donated their prize money to Phoenix in support of finding a cure for Angelman Syndrome. Sheridan and the De Greefs were overwhelmed by the generosity of strangers and realized that there is so much support for Phoenix and others living with Angelman Syndrome and other disorders, that they are not alone on their journey. With his heart still feeling the joy from the Go-Kart racing experience, Sheridan decided to participate in a 250 km-7 day ultra marathon in the desert of China called the Gobi March. Sheridan is taking on this monumental physical and mental challenge because he wants to raise awareness and funds for a cure for Phoenix and all individuals living with Angelman Syndrome. Sheridan has set up an online fundraising page, with donations going directly to FAST. The Gobi March (China) is one of the four races that comprise the world renowned 4 Deserts series of 250-kilometer, rough-country footraces. The Gobi March 2013 will take place on a new course in Bortala Mongol and Yili Kazakh Autonomous Prefectures in northwestern Xinjiang Province. The start line will be near Bole, the capital city of Bortala, at the foot of the Altai Mountains. The course has a number of highlights, including the Mysterious Rock Valley (where the largest group of strange rock formations are located in western China), Mongolian settlements, local culture, cable bridges, views of Tian Shan snow peaks, the famous Sayram Lake and a memorial to the founding father of Mongolia, Genghis Khan. 2013 celebrates the 10th Anniversary of the Gobi March (China). 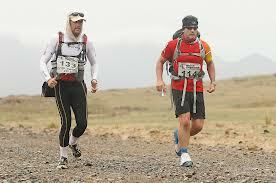 The inaugural Gobi March was held in 2003 and was the first ever 4 Deserts event. The Gobi March is part of the 4 Deserts series, which was named by TIME magazine as the #1 footrace in the world, and as one of the world’s top 10 endurance events. The Altai Mountains will be the backdrop for the course, which takes competitors through alpine scenery with beautiful green grasslands, pristine mountain lakes, river valleys, and villages of ethnic minorities. The terrain is a mixture of dry, rocky riverbeds, dusty tracks, narrow ridge paths, green pastures and some river crossings. Temperatures during the Gobi March can vary greatly – in 2013 average temperatures are expected to range between 15-30°C / 59-86°F during the day and as low as 0°C / 32°F at night. The fastest time on a Gobi March course was in Kashgar in 2012 by Vicente Garcia Beneito with a time of 23 hours and 12 minutes. The Gobi March 2013 is a self-supported race; competitors must carry everything they need for the seven days on their back. The average backpack weighs 8-9 kilograms / 20 pounds. Up to 200 competitors from more than 40 countries are expected to compete in the Gobi March 2013 with 1/3 of competitors from North America, 1/3 from Asia and 1/3 from Europe. The average age of the competitors is 38. Approximately 20% of the competitors are female and 80% are male. During the Gobi March 2013, competitors, volunteers and staff are expected to consume more than 16,000 liters of water over the seven days of the event. More than 30 tents are put up daily at each campsite with the help of the local camp team. These tents have been made locally in Xinjiang province. Competitors are required to pass through up to 30 checkpoints throughout the seven-day event before crossing the finish line. Each Camp has a special cybertent at where competitors can send and receive emails and update their blogs.